Enjoying exotic meals and trying local delicacies is, for many of us, one of the best parts of going abroad. However, sometimes immersing ourselves in the foreign cuisine can backfire and result in illness. Suffering from holiday food poisoning can ruin a trip away. To make sure you aren’t struck by a bout of holiday food poisoning, read the list below. This one’s an oldie but a goodie – in some countries, tap water isn’t always safe for drinking. Drink only bottled or sterilised water (you can boil water for three minutes to kill bacteria) and also use it to brush your teeth or mix baby formula. Avoid ice and mixed fruit juice unless you can be sure they have been made from treated or chlorinated water. On the other hand, tea and coffee should be safe to drink as long as it’s steaming hot. When abroad, always make sure your food has been thoroughly cooked and is piping hot. In all-inclusive resorts, food is often served at buffet-style restaurants, however, if possible, these should be avoided. 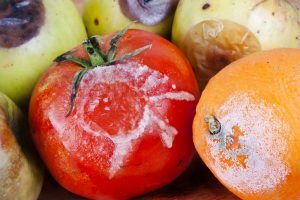 Food that has been left sitting out can pose a greater risk of being contaminated. Always wash your hands before eating or handling food and after using the toilet, changing nappies or smoking. Keep a bottle of alcohol-based hand sanitizer with you while you travel so you can keep clean even when you don’t have access to soap and water. While it can be tempting to buy try local cuisine sold at market stalls or by street vendors, you should do so with caution. Street vendors may not be subject to proper regulation in some countries and may not hold the same hygiene standards as restaurants. If you do eat from a street stall, look for vendors that appear to be popular with customers – quiet stalls are more likely to have food sitting out for long periods before it is served. Try to choose hot and sizzling food that has only very recently been cooked. Fruit and vegetables that cannot be peeled, like berries, grapes and salad, present a greater risk of food poisoning. This is because it’s likely that they’ve been washed using the local tap water. Opt for fruits you can peel yourself like bananas and oranges to reduce this risk. Otherwise, try and eat only cooked vegetables; the high temperature they are subjected to during cooking will kill most bacteria. When deciding where to eat, pick busy restaurants with a reputation for good hygiene, as these will usually serve fresh and safe food. Always keep an eye out for poor standards of cleanliness; don’t eat somewhere if tables are not thoroughly clean or cutlery is dirty. Remember that just because a restaurant is expensive, doesn’t mean it’s clean. While there are steps you can take to be careful when eating on holiday, the best thing you can do is to listen to your body and trust your gut. Eat more slowly than usual; you’ll soon be able to tell if the food doesn’t agree with you. If you do become ill while abroad, make sure you drink plenty of water to keep yourself hydrated and seek medical attention. If you’re on a package holiday, inform your tour operator representative of your illness. Low standards of hygiene at the hotel could be to blame, and if this is the case, you may be able to claim holiday food poisoning compensation. Contact the friendly and experienced team at Jefferies Solicitors for more information. Call us on 0800 342 3206 or get in touch online. Published on 22nd August 2016.